Brad Tilden runs his company like a real Eagle Scout. Makes sense, because the president and CEO of Alaska Airlines is a real Eagle Scout. In the viciously competitive airline industry, Tilden offers refreshing proof that nice guys can finish first. He takes time to learn employees’ names. He regularly walks airport terminals to get a ground-level perspective. And he hires leaders based on a set of leadership principles that look strikingly similar to the Scout Oath and Scout Law. He does all that without forgetting he’s there to run a business — not make friends. So he pushes employees in a friendly but fierce way. That must be why the Puget Sound Business Journal named Tilden its 2015 Executive of the Year. And why Alaska Airlines ranks highest in customer satisfaction by JD Power. Earlier this year I flew to Seattle (on Alaska Airlines, naturally) to interview Tilden for the Summer 2016 issue of Eagles’ Call magazine, which is out now. Quick side note: Anyone — not just Eagle Scouts — can receive the quarterly Eagles’ Call magazine. It’s normally $10 a year (four issues), but I’ve secured a special discount code for blog readers that cuts that price in half. Use the promo code EGCBLG16 to get Eagles’ Call for $5 a year for the first year. Read an excerpt from my story below and find the entire Tilden profile in the Summer 2016 issue of Eagles’ Call. When the moment came, Tilden jumped in. He earned the Eagle Scout award in 1976 in the Chief Seattle Council. For his Eagle Scout service project, he built a 16-foot bridge at the Normandy Park Community Club, a nonprofit events center a couple of miles from the airport. Tilden’s dad was a civil engineer at Boeing, so perfection was the minimum requirement. The bridge lasted around 25 years before being replaced, but Tilden hasn’t forgotten the project’s mental and physical toll. Still, Tilden says, today’s Scouts have an even tougher time earning Scouting’s highest honor than did young men in his era. The nature of Scouting hasn’t changed in 106 years, Tilden says, and it starts with getting young people out into nature. Tilden and his brothers got hooked on the outdoors while hiking, snowshoeing and cycling their way through the Pacific Northwest. When the brothers get together these days, they still head outside. 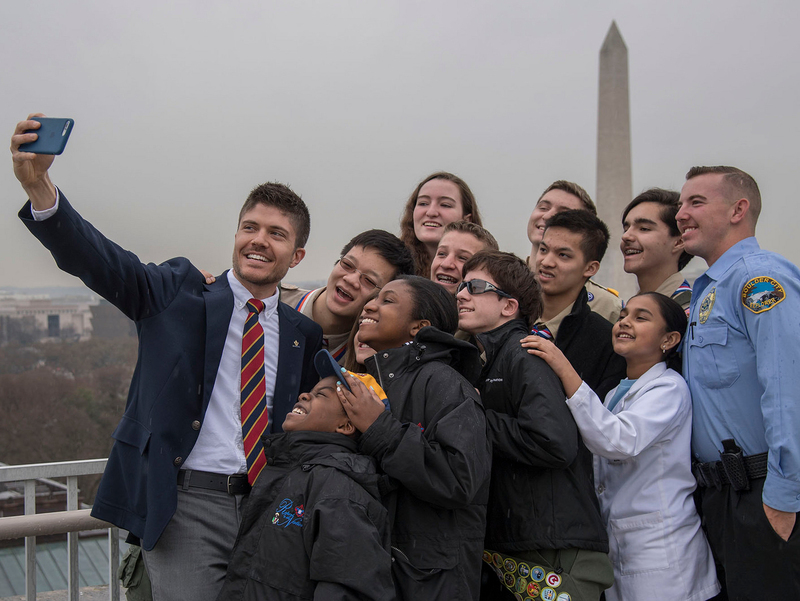 Tilden thinks the Boy Scouts of America could do a better job of playing to its strengths and promoting its outdoors programs. Part of that means marketing what’s already great about the BSA, so it’s fitting that Tilden recently took over as chairman of the BSA’s National Marketing Committee. Join 13,311 people who get Bryan on Scouting in their inbox. We'll send one email per weekday, and you can unsubscribe any time.